1. Lara Bars – not only are they crazy delicious, but they come in so many flavors it’s awesome. Personally I love the Chocolate Chip Brownie and the Peanut Butter Chocolate Chip flavors. 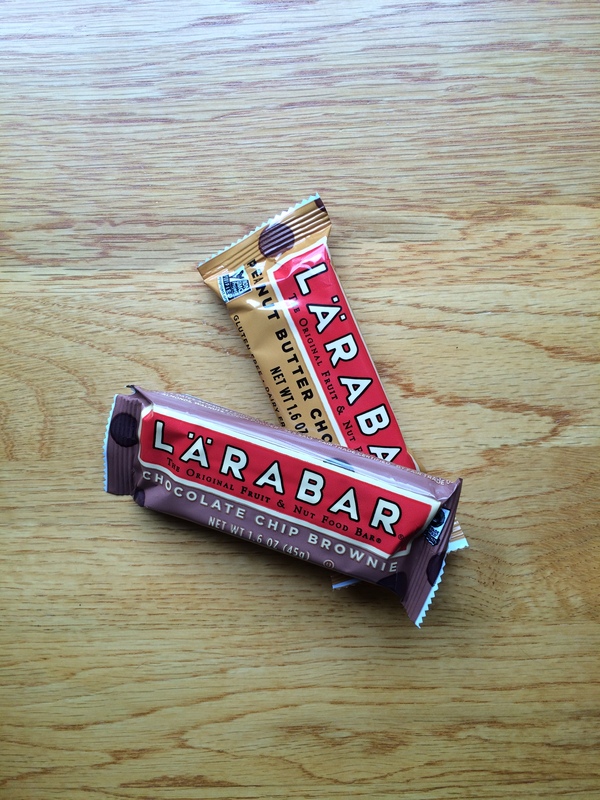 The BEST thing about Lara bars is that they’re made with good-for-you ingredients like puréed dates and nuts. 2. Quest Bars – I really don’t follow the high protein-low carb trend, but Quest bars are a delicious alternative to a regular cookie. Especially since they have a chocolate chip cookie dough flavored one! I tend to microwave them for about 10-15s to get them all gooey which makes them even better. 3. Fruit – is nature’s dessert, but don’t let that fool you into never eating fruit because it’s too high in sugar! Not only do some good mango chunks or raspberries satisfy the sweet tooth, but you’re also getting tons of nutrients that you wouldn’t get from eating a regular chocolate chip cookie. Bonus: I love adding a sprinkling of semi-sweet chocolate chips to my bowl for an added chocolatey twist. You could also have chocolate-dipped fruit too! Pineapples and strawberries are my favs. 4. 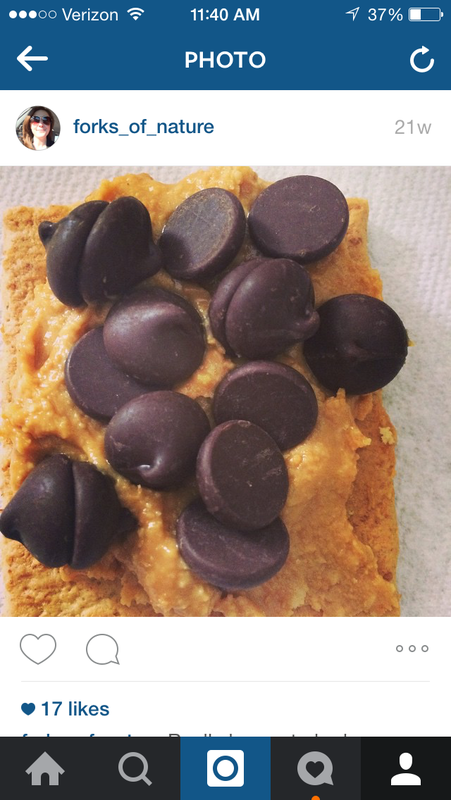 Graham crackers topped with natural nut butter & chocolate chips – seriously though, you have to give this a try if you’re a pb/chocolate fan. I make this all the time to satisfy my cravings for chocolate chip cookies. 5. Trader Joe’s Cookie Butter/Nutella on anything – maybe I put a little bit too much cookie butter on that toast, but it’s still delicious! I highly recommend it if you’ve got a TJ’s in your area! 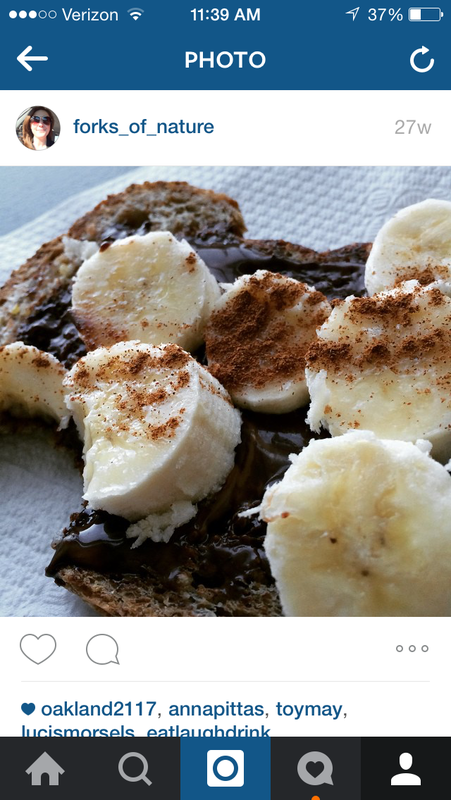 Nutella is another alternative. Put it on fruit, on whole grain crackers, on anything. Just watch your portions! 6. Energy Bites – a new discovery for me, but one I’m in LOVE with. 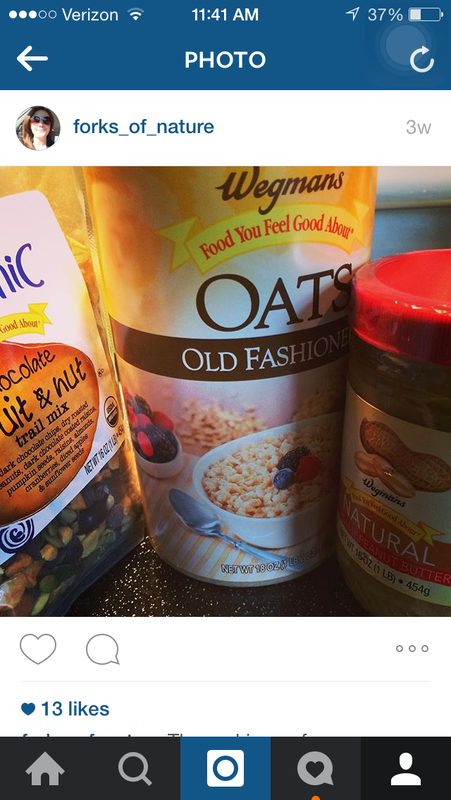 Take some oats, natural nut butter (I used pb here), and some trail mix (one with dried fruits, lots of nuts and seeds and chocolate chips), mix it all together really well, then roll into balls and place on a cookie sheet and stick in the fridge to set. YUM! 7. Cereal with chocolate chips – it’s bizarre, I know. And depending on what cereal you use it may not be the healthiest alternative (I tend to use Cinnamon Toast Crunch hehe), but if you watch your portions here it’s a good substitute to kick that craving. Not to mention you’re eliminating the trans fat that’s often found in bakery goods! 8. Frozen yogurt – I don’t like ice cream (sacreligious I know), but I don’t mind frozen yogurt as long as it’s fruity and really tart (I don’t do the creamy kind of flavors). Regardless, this is a great alternative to having some Ben & Jerry’s if you’re looking for one! Just don’t go overboard with all of the toppings because I know that’s what we all love hehe. Question of the week: what are YOUR favorite alternatives to sweets? Image Credit: all are my own; check out my Instagram for more pictures like these! « Does How a Food Look Impact it’s Flavor?